Share Your Holiday Greetings On Star 106.1 during The Joe Show! 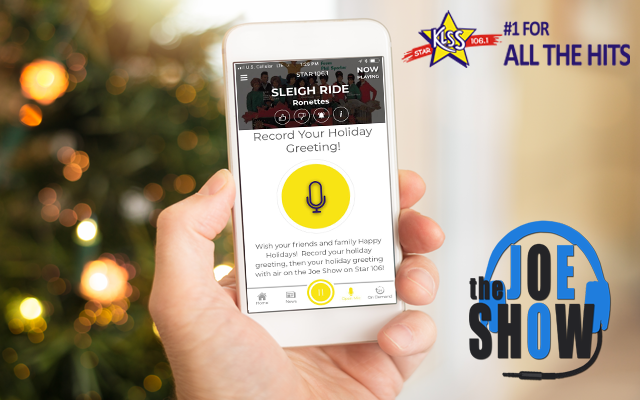 This season, we’ve made it easy to share YOUR holiday greetings to your friends and family right on Star 106.1 during the Joe Show! To send us your holiday greetings, just follow these easy steps! Press ‘Submit’ to send us your greeting and then listen to Star 106.1 and the Joe Show to hear it play on the air! 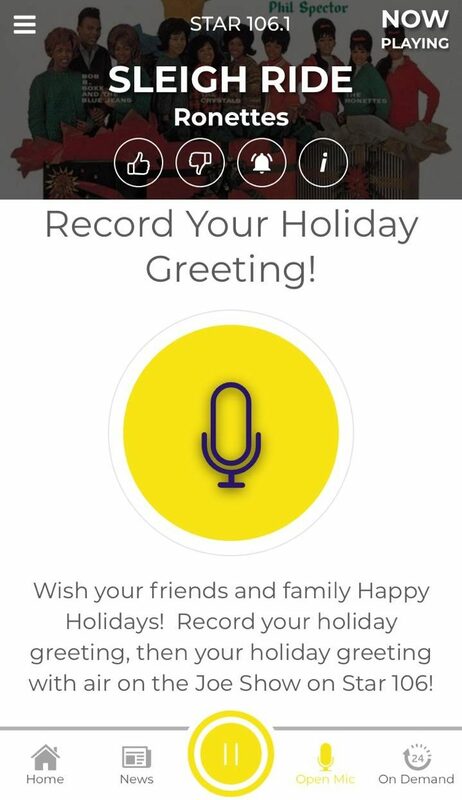 It’s THAT easy to send your holiday greetings this season!